POLZEATH and New Polzeath Low tide.. 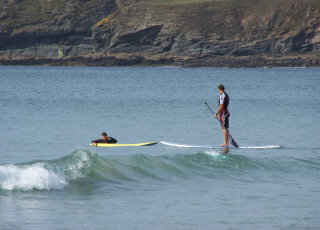 FANCY A SURF Polzeath is world renowned as a surfing destination and caters to this popular pastime admirably. 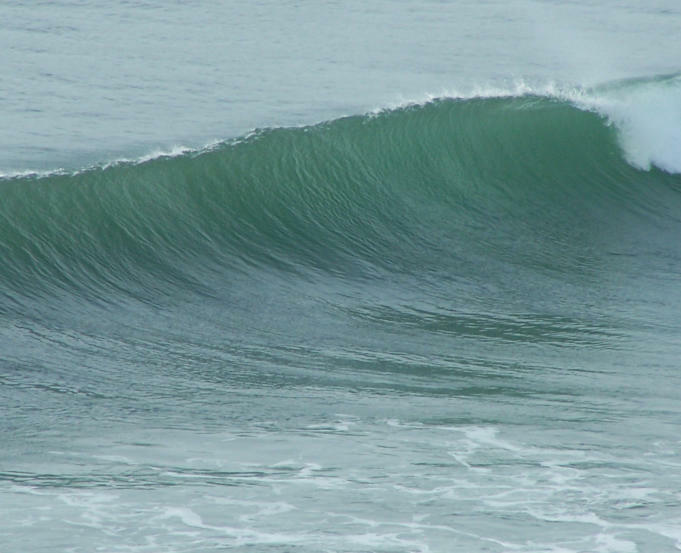 There are a myriad of surfing paraphernalia outlets here as well as a small supermarket, numerous cafes and bars. Parking your car right on the beach is a option. Dogs: Polzeath is a dog free beach from Easter Day to October 1st. Restaurants, Cafes and Bars are well represented in the Trebetherick area. Also a post office and several general grocery outlets. 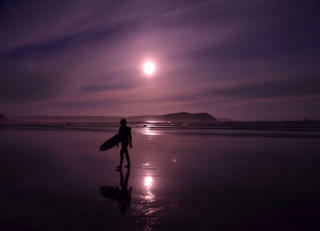 STAY AT POLZEATH Polzeath and New Polzeath offer quality accommodation to holidaymakers. Self catering options include caravans and campsites, houses, flats and chalets that are all near the beach and some are sea front properties. 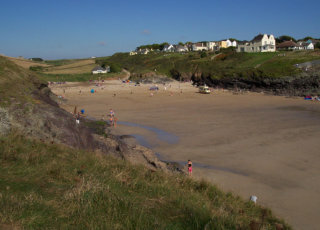 Bed and breakfast accommodation is also widely available in Polzeath. Hotels are also well represented in the Trebetherick area. What ever form of accommodation you choose one thing is for sure. 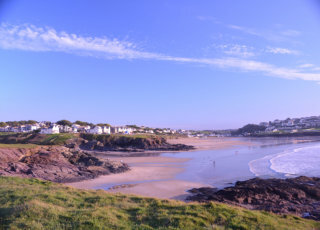 You will have a brilliant holiday in this area of Cornwall as there is so much to see and do. more…. 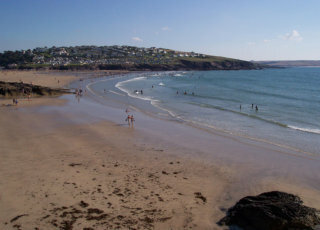 Polzeath Beach A vast expanse of golden sand and superb surfing beach. ACCOMMODATION IN POLZEATH A MYRIAD OF ACCOMMODATION OPTIONS ARE AVAILABLE IN AND AROUND POLZEATH. 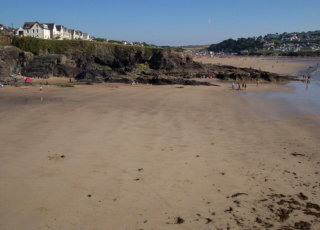 Self catering holiday cottages, house and apartments that are available in Polzeath and the surrounding area. Bed and breakfast accommodation in Polzeath offers you the opportunity for a relaxing break without the fuss of having to cook your own breakfast. 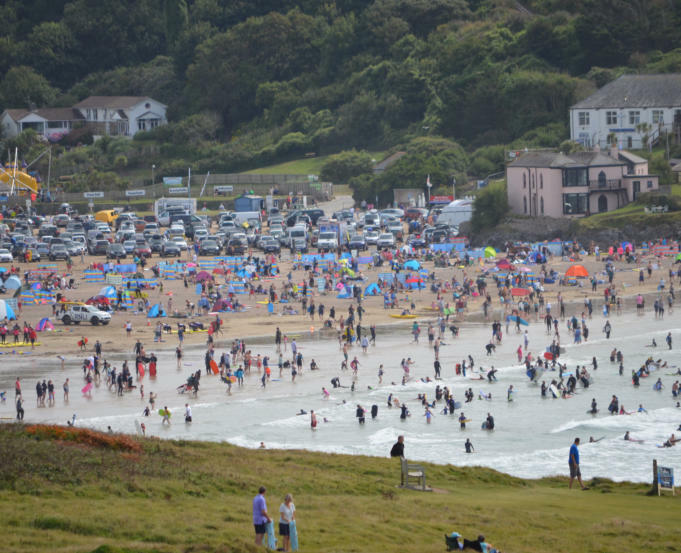 Lunches are easily catered for by the numerous eating establishments in Polzeath and the neighbouring villages, has are evening meals, although many of the b and b establishments in Polzeath offer evening meals as optional extras.